Food is such a great motivator. I’ve endured a yawn-inducing corporate seminar because there’s a free meal involved. I ran a 13.1-mile race last month just because there were all-you-could-drink chocolate milk bottles at the end. And this weekend, I drove 6 hours and over 300 miles (10 of them on some of the rockiest dirt road stretches I’ve ever put my car through) to pay $12 for a cheeseburger. It was worth it. 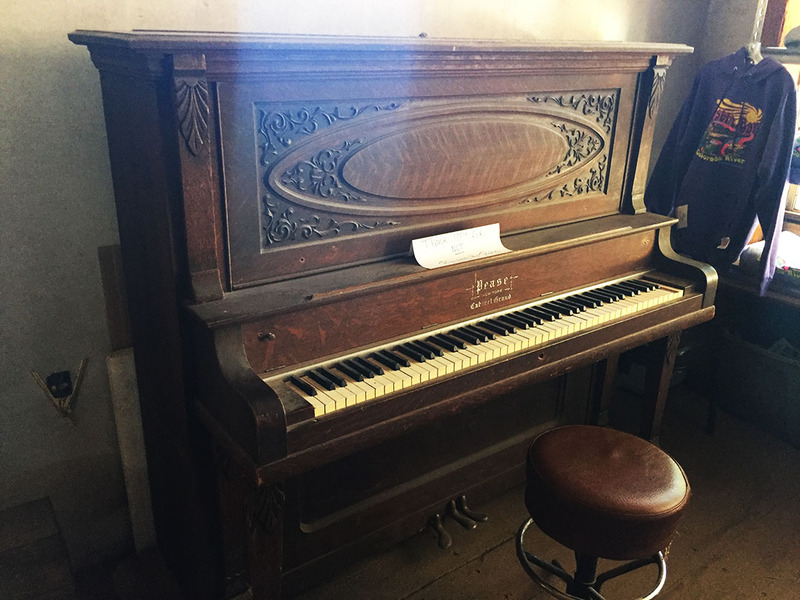 The Nellie E. Saloon, better known as just the “Desert Bar,” is just my kind of place. This one came at the recommendation of my friend Chris who’s always on the lookout for driving opportunities to obscure destinations. 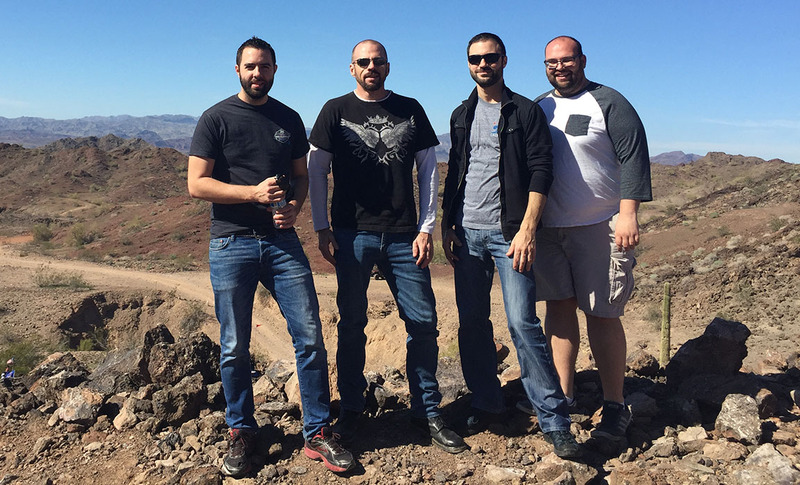 The drive took me and 3 friends to the Buckskin Mountains in the remote and sparsely-populated western reaches of the Grand Canyon State. It’s a beautiful area: The Colorado River slices through the middle of the desert and creates a border between Arizona and California. 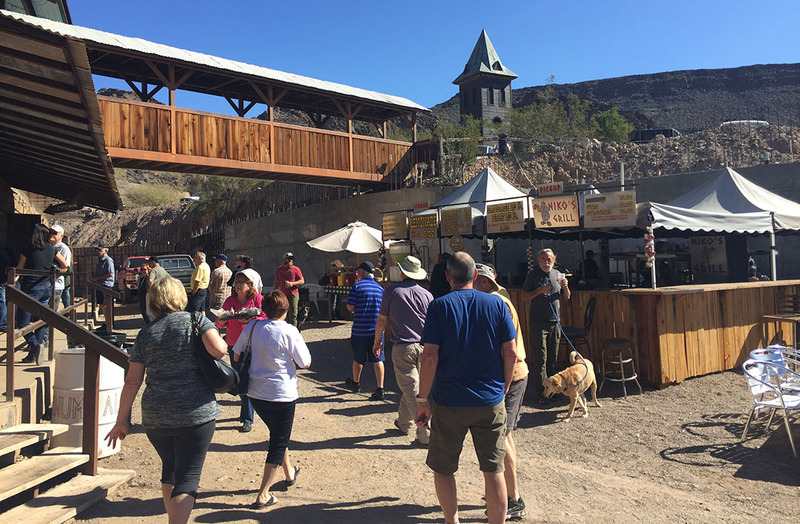 Spring breakers flock to the area for wild times at Lake Havasu. But our destination was far from any such refreshing water supply. It was tucked deep into a dusty canyon. And it seems we weren’t alone. Hundreds of Jeep owners, ATVers, and campers had the same idea that we did and the saloon was a hoppin’ place on a Saturday afternoon. Getting there was (more than?) half the fun. 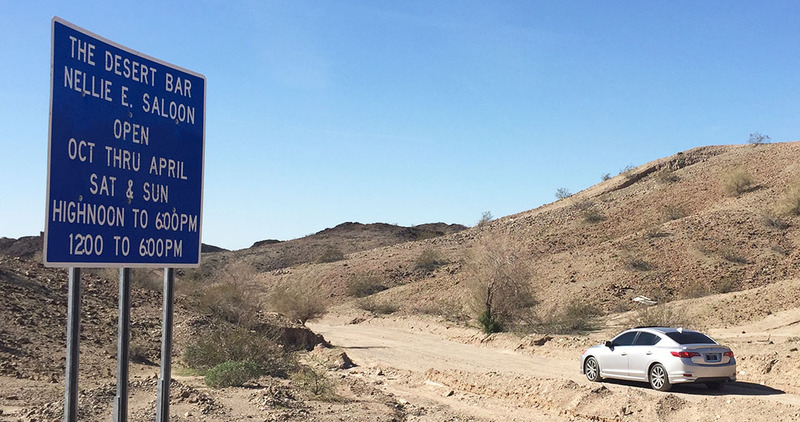 The closest town to the saloon – Parker, Arizona – was hosting an off-road race called the “Bluewater 425” which brought out all sorts of desert-goers. Think baja race. 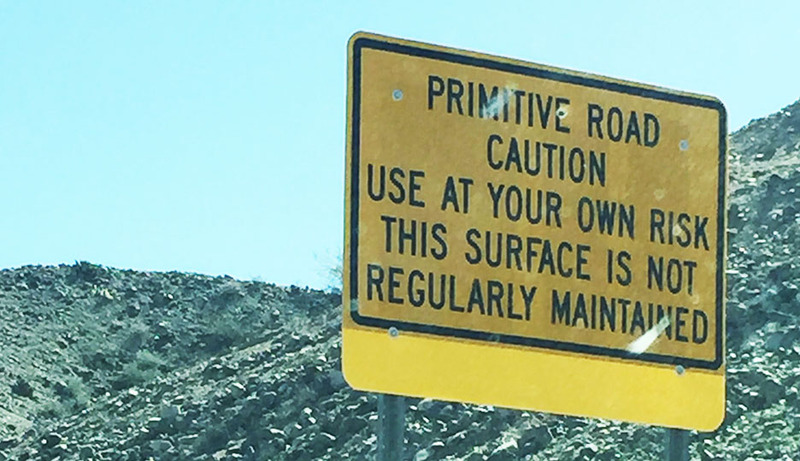 About 4 miles out of town on Highway 95, we headed east on Cienega Springs Road and were immediately warned by a roadside sign about primitive road conditions. 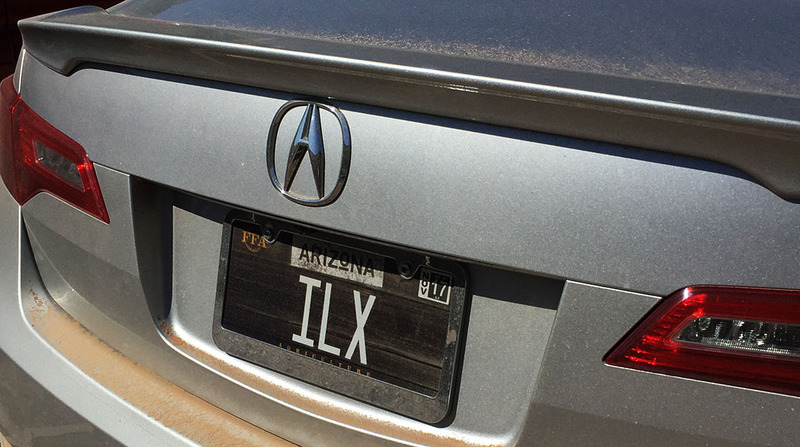 Not to be turned away, I gripped the wheel and shifted the ILX into low gear for a bumpy ride. 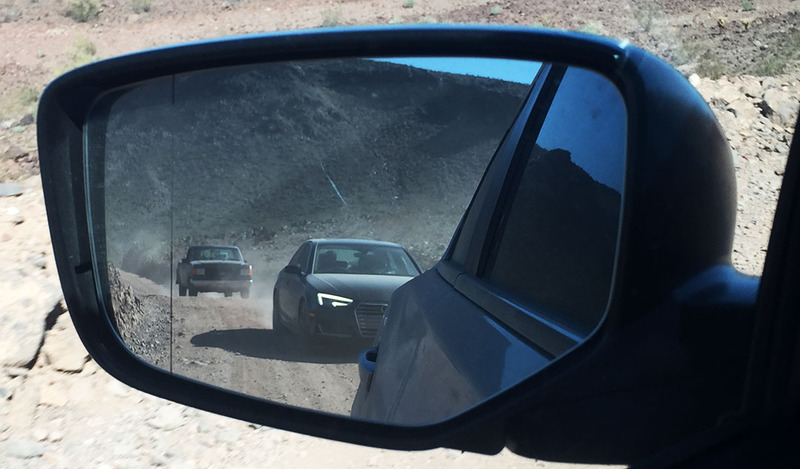 Sam Haymart, of TestDriven.TV fame, followed closely behind in my cloud of dust with his 2017 Audi A4. 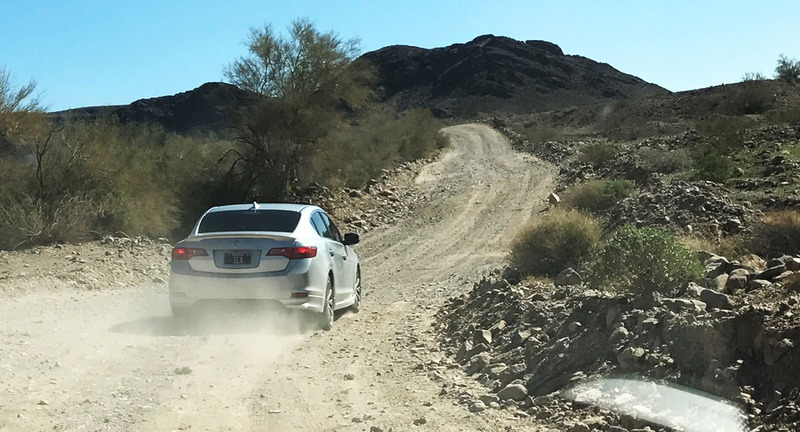 We might have been the only ones crazy enough to subject our luxury sedans to such rocky terrain. 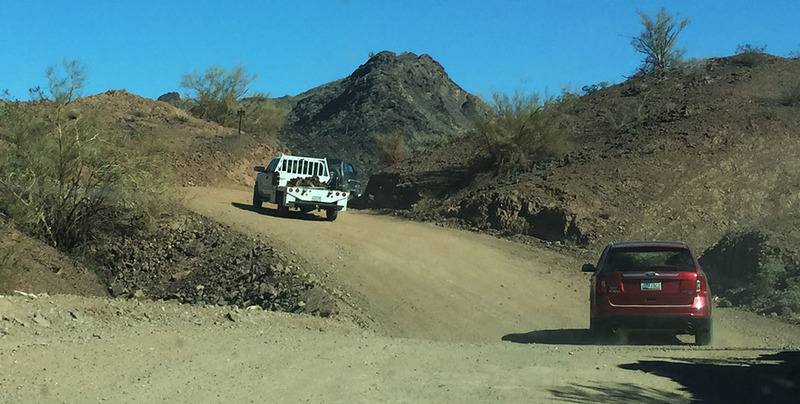 At certain times, the narrow road was only one lane wide and we had to carefully maneuver around oncoming traffic. 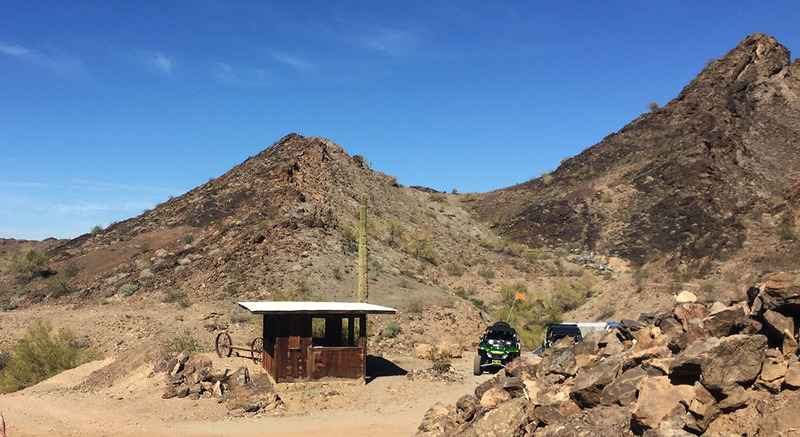 The 5 miles of dirt took us probably 20 minutes to navigate, but eventually we arrived at the oasis: A sprawling, multi-level restaurant and bar crudely constructed inside a canyon with surrounding parking. From the parking lot, we could hear the bass beat of live music and the closer we got, the louder the music – and the crowds – became. 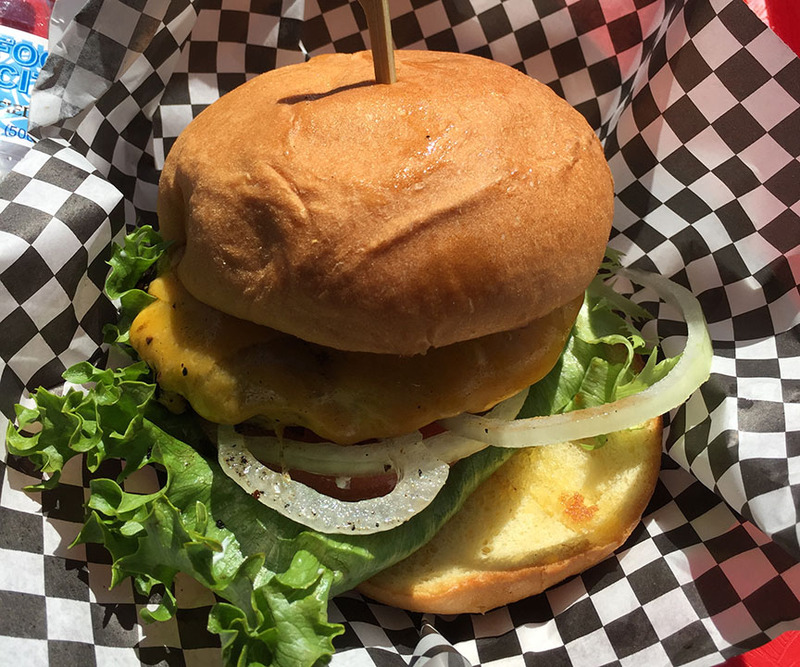 The lunch rush was in full swing at 12:45 p.m. – amazing because the place had barely opened for the day at “high noon.” There were various places to order and the seating was “wherever you want.” I grabbed my cheeseburger and sought after some shade on a set of bleachers. The people-watching was some of the best I’ve ever had – it seems a few folks had a started happy hour early, as the Coors cans were clearly everyone’s drink of choice to wash down their burgers. The band played on, and I couldn’t help but sing along for a line or two when the song “Wagon Wheel” came on. We took a short post-lunch hike to the summit of a rocky overlook. It gave us a great view of the entire bar area and the surrounding hills. 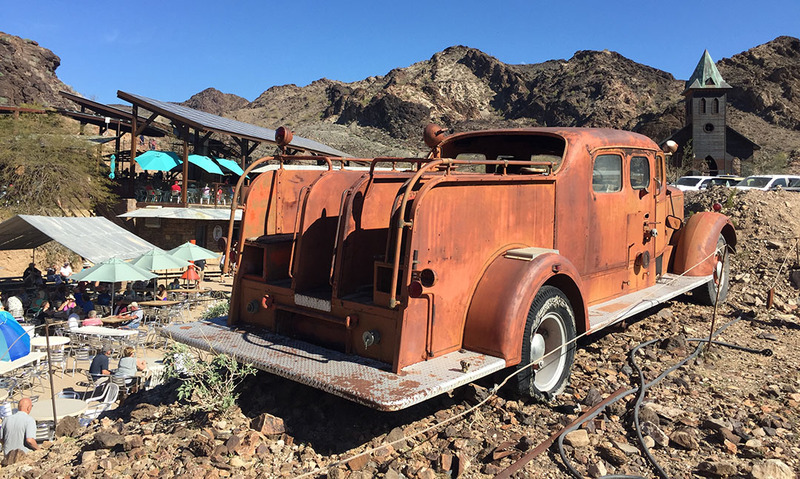 Desert Bar was lined by a few rusting carcasses of old vehicles including a fire truck. 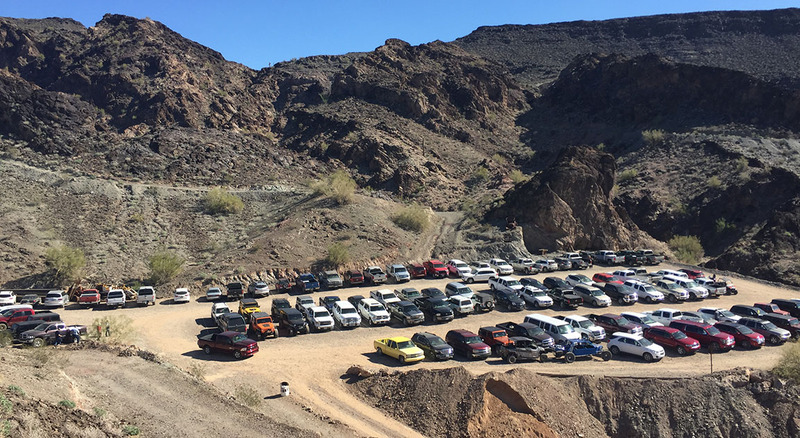 I noticed upon surveying the parking lot from that vantage point, about 95% of the vehicles in the parking lot were higher clearance AWD trucks and SUVs. It was probably for good reason, too. While fair weather cruising wasn’t a huge challenge, I imagine that any sort of inclement weather would pose a real road muddy hazard for someone like me taking a car out there (next time I’ll take an SLX). And while owner Ken could probably attract a lot more visitors if road conditions were improved, the challenge of the trek is part of the allure. 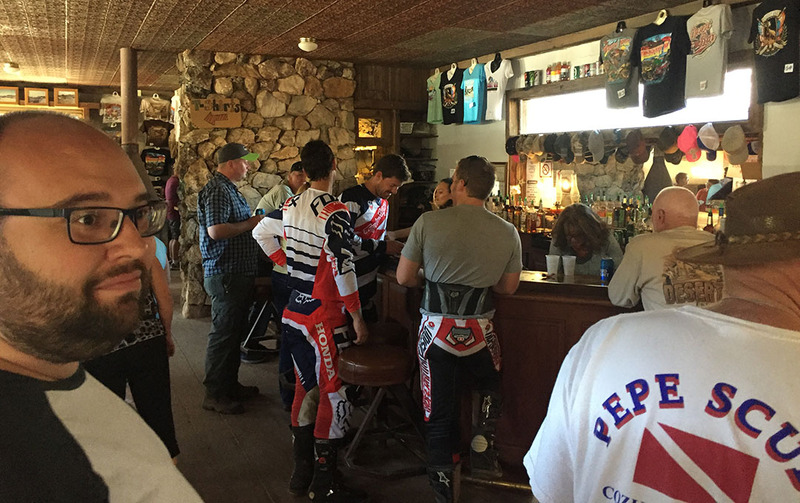 Ken’s vision of the Desert Bar started in the mid-1970s when he had acquired the land of an old copper mining camp. By 1983, he had acquired a liquor license and started hosting guests in a makeshift building. And in the 1990s, further improvements were made to the site including construction of a small church and a covered bridge across the ravine between the parking lot and the main stage. By the looks of things during our visit, more enhancements are probably still underway as we saw some concrete & rebar walls going up. 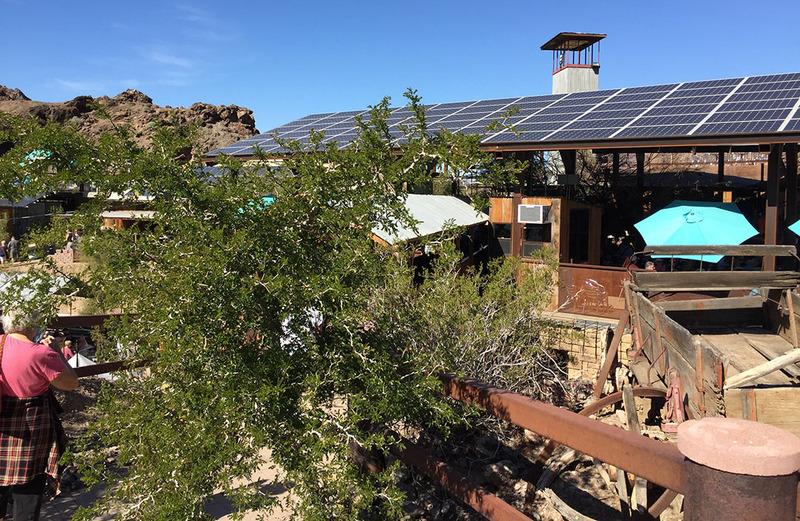 And the entire place is now powered by solar panels. Brilliant, actually! We made our way back to civilization in one piece and perfectly satisfied with our 6 hour trip for a nice, greasy burger. 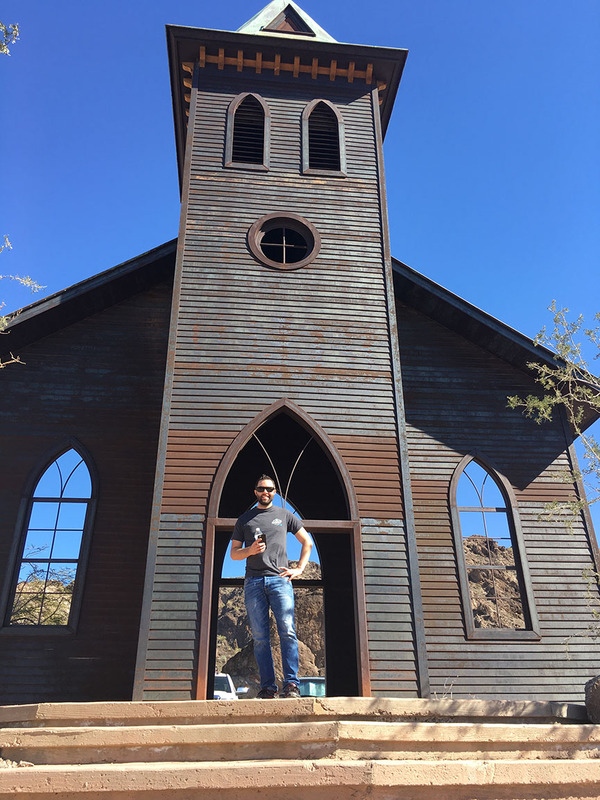 For anyone looking for an easy day-trip from the Phoenix area, Nellie E. is a definite hit. But keep in mind its limited operating hours: It’s only open from October through April, Saturdays and Sundays, from 12:00 to 6:00 p.m. And the entire operation is cash only! Don’t even think of trying to pay with plastic out there. Have fun and check it out sometime! Nice layer of dust here. Fire truck that was used at one point to bring in water to the facility. 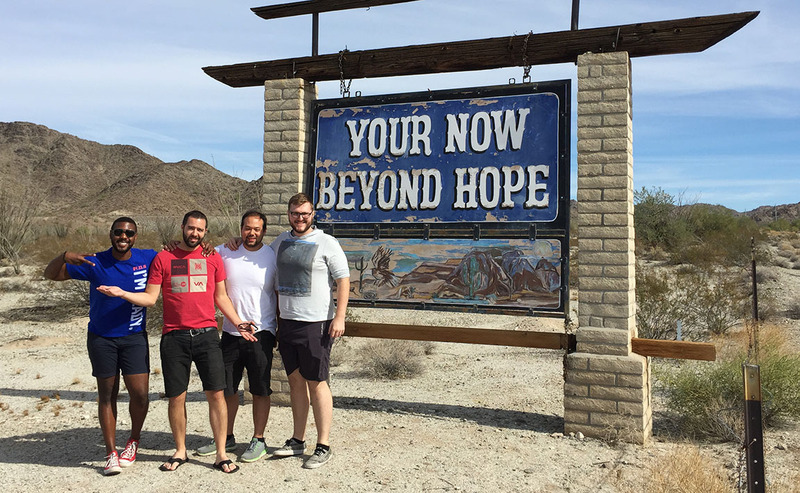 Passing through “Hope, Arizona” on the way home. They’ve fixed the sign! This was taken last November. Congrats to faithful reader Hy on (finally) hitting 65,000 miles on his 2004 Acura TSX 6-speed manual! And, happy birthday today! 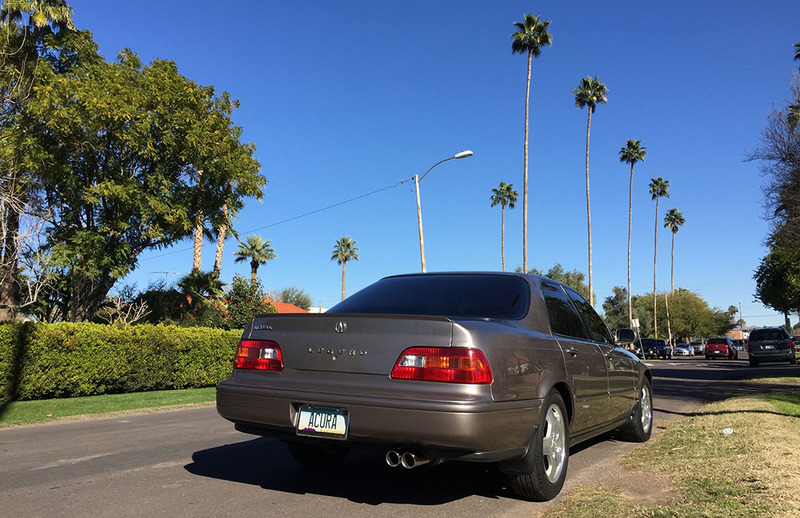 Horrible winter weather here in Arizona for a Legend GS sedan cruise the other day. 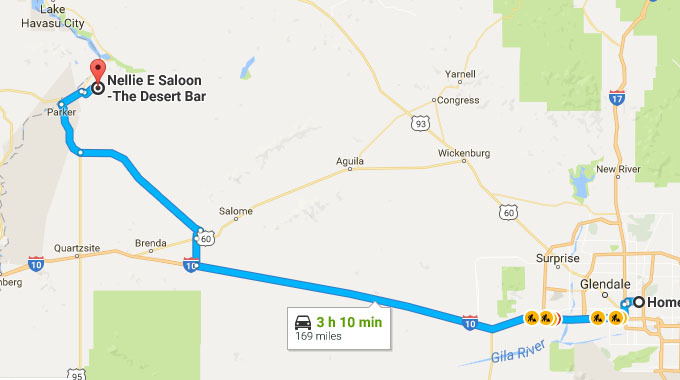 This entry was posted on February 5, 2017 at 11:16 am and is filed under Arizona, ILX, Road Trip. You can follow any responses to this entry through the RSS 2.0 feed. You can leave a response, or trackback from your own site. Pleased to see that the sign is finally fixed! I’m astounded by the vast numbers of cars in the parking lot, gotta be a sure sign that it’s a good place to go for an afternoon of entertainment and some food, right? Yep, exactly. Nice little watering hole where people can take a break during their weekend adventures. 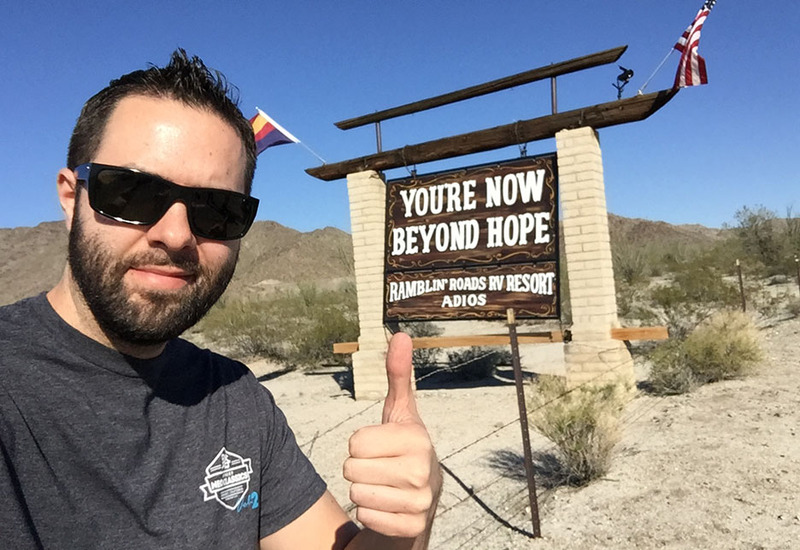 I was relieved to learn the Hope sign was fixed, too. Haha. Hope you’re having a great weekend! Great post, Tyson. Really cool bar that redefines the term “off the beaten path.” That said, there is NO WAY you’d ever see me taking the Accord down those roads. lol. Any reason why the bar isn’t open the during summer months? Too hot? Precisely. The bar’s website says in capital letters: THE BAR IS CLOSED DURING THE HOT SUMMER MONTHS. I’m sure plenty of people trek out there still mistakenly hoping they’ll find a drink! Lots of history in that place. And that video – haha. I got my egg! Egg makes everything better. Speaking of which, I need breakfast! I love that Hope fixed that sign! Send that Audi up to me and I will detail it for Sam. And if you keep it up, you will make it to the legendary top 5… or 10. 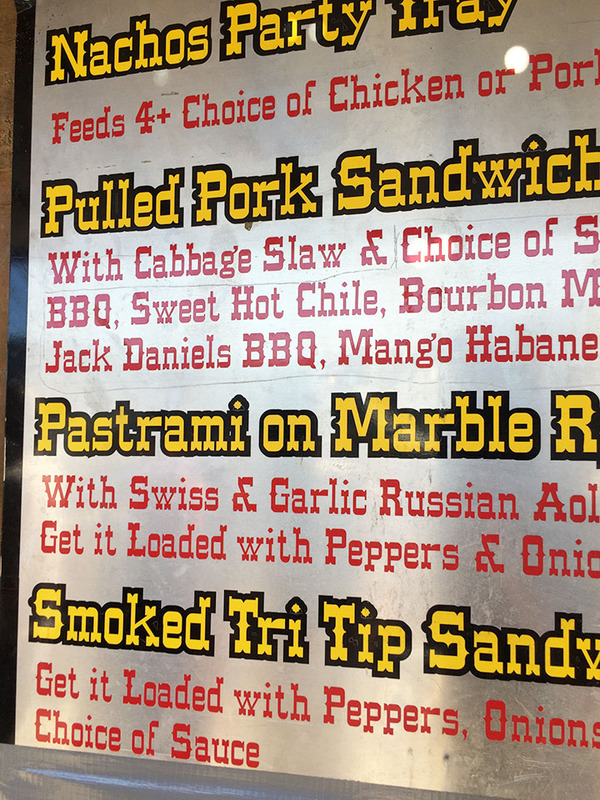 One more thing: “High noon” is my preferred way to say 12 p.m. (their sign is terrific). Legendary top 5 or 10 of what? That sounds like a list I need to be on. Any list is a good list. 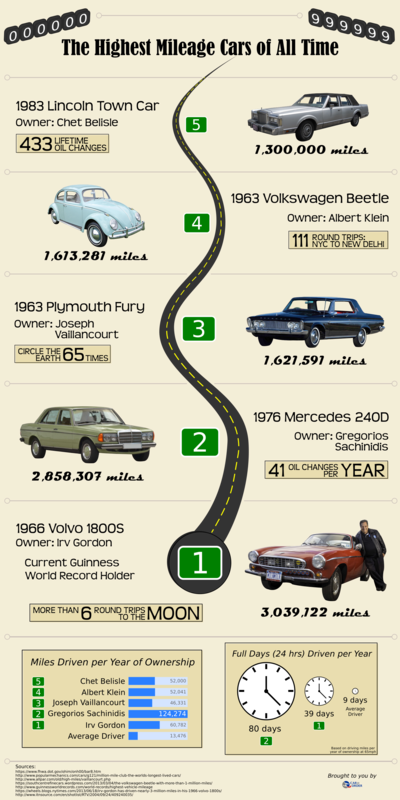 You’re destined to be on the list of record high-milers. Keep it up. You crack me up Tyson… when your invitation mentioned “It’s 5 miles down a dirt road.” I thought I hmm that may not be so bad. 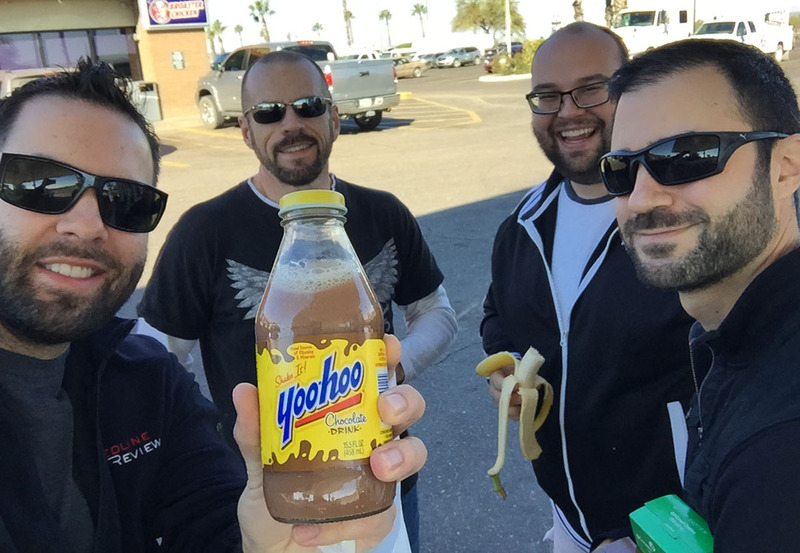 BTW great find on the Yoohoo! Tyson, you are getting closer to that all impressive 200k milestone. I met with a bad accident, car skidded and thus there is some front end damage. My car is currently being repaired. I am at 268k. The car is being fixed. I might have to add collision on this vehicle again lol. Such a cool place and this blog was one of your greatest. I would agree, the dirt road would be a “feature” of such a trip. Your You Tube video of the road almost had you engaging in another vehicle. It also looks like they have plenty of ideas for future growth at that place. Next time I’ll take a truck and an ATV so I can explore some of the surrounding off-road trails! Hope you are enjoying the weekend.